Nexus Vehicle Rental, the UK’s leading corporate vehicle rental provider, has publicly pledged its support to a private members bill which aims to end the issuing of unscrupulous parking fines by rogue operators. Nexus is the latest in a number of major names in the motor sector to lend its support to The Parking (Code of Practice) Bill 2017-2019 tabled by Sir Greg Knight MP, after its own data revealed almost a three times increase in the number of business drivers facing penalties, 95 per cent of which it estimates are from private parking firms. In 2012, 1.4 per cent of all Nexus’ daily business car rentals incurred parking penalty charges, which has risen dramatically to 2.6 per cent of all bookings in the first eight months of 2017 alone. Findings released earlier this year by the RAC show that 4.71 million DVLA vehicle-keeper records were accessed by parking management firms over the course of 2016/17, marking a 28 per cent increase on the previous year. * Around 60 per cent of the Parking Charge Notices issued by private operators were successfully overturned when challenged. Despite private parking firms being able to issue fines on private land, there is currently no code of practice which regulates this part of the industry, with reported charges as high as £100 in some cases. The bill, which is due to have its second reading in Parliament on 2 February, aims to make private parking companies more accountable, as well as demanding a fairer appeals process for drivers. This includes calling for an end to the unfair and sometimes illegal practice of private parking firms issuing automatic fines, sometimes even via CCTV – a practice known as ‘ghost-ticketing’. This will rarely take into account factors such as unclear signage or faulty parking meters. As a result of the findings Nexus has created its ‘Glovebox Guide to Parking Penalties’ – a step by step guide that can be printed and kept in a rental car should business drivers need to challenge penalties from rogue operators. David Brennan, CEO at Nexus Vehicle Rental, said: “As a major operator supporting UK business drivers we’ve experienced first-hand the unfair and sometimes unavoidable fines issued by private operators who, according to recent reports, are now handing out charges UK-wide every seven seconds. “As well as backing the Bill, we urge motorists to be vigilant when faced with private parking charges. 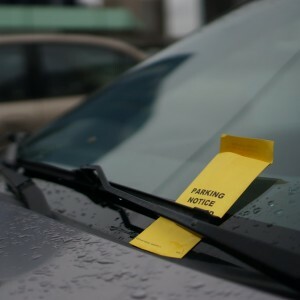 Parking Charge Notices differ from local authority issued Penalty Charge Notices and should never be paid if a driver is looking to appeal – this makes it much more difficult to claim money back. The Parking (Code of Practice) Bill 2017-2019 which had its first reading in Parliament on 19 July aims to end the self-regulation of private companies when issuing parking charges and will seek to restrict access by private companies to DVLA data, which allows companies to contact registered keepers directly.